The "anti-tobacco law" was introduced in Russia in 2013. The number of smokers in Russia has fallen to a seven-year minimum. Currently, only one Russian in three smokes. But is this related to the country's anti-smoking legislation, one of the harshest in the world? Or has the economic crisis played a role? "We’ve started smoking less in the last two years," says Alexei, a financial analyst from Moscow. "Before, when our group of friends, in which everyone smokes, met a bar, cigarette packs just disappeared one after another. Now every time we want to smoke we have to go outside. But we're lazy. So I guess the law works." The law Alexei is talking about was introduced in 2013 and was popularly nicknamed "the anti-tobacco law." The new legislation significantly limits places where you can legally smoke: The street and the home are basically the smoker's only option. Additionally, all smoking advertisement is also banned and tobacco excise tax has drastically increased (from 1,000 rubles or $15 per kilogram in 2013 to 2000 rubles or $31 per kilogram in 2016). According to a Russian Public Opinion Research Center (VCIOM) survey held three years after the introduction of the "anti-tobacco law," the number of Russian smokers in the country has fallen to a seven-year minimum. Currently, only 31 percent of Russians smoke, compared to 41 percent three years ago. A third of those who smoke (28 percent) say that they started smoking less in the last year. "There are fewer people who smoke a pack a day," notes Marina Chernova, doctor and social health program director at the International Confederation of Consumer Societies. Chernova believes that the "anti-tobacco law" is very effective. "The Russian anti-tobacco law is one of the strongest in the world. It includes all the points from the WHO Framework Convention On Tobacco Control," she said. Chernova stresses the importance of the law's economic element: "The money from tobacco taxes goes towards the Russian budget. Thanks to the taxes government revenues increase. In 2015 the budget received 21 percent more resources in comparison with the previous year," she said, noting that with the growth of prices each year cigarettes become less affordable. Rising costs are having an impact on the general shrinking of Russians' incomes, a decline that was caused by the economic crisis. Chernova cannot really say what is more responsible for the population's refusal to smoke, the government ban or the fall of incomes, suggesting that the factors intertwine. She believes that cigarette tax should be increased more rapidly but the current pace also helps fight smoking. Alexander Druz, co-chairman of the Movement of Smokers' rights, agrees with Chernova that it is difficult to determine the real reason behind the declining number of smokers. "It's difficult to say whether they stopped smoking because of the law or because of poverty,” he said. “I myself smoke as much as I did before the law." Druz's movement appeared right after the introduction of the "anti-tobacco law." Its members believe that the law is discriminatory and violates smokers' rights. The movement has demanded that the authorities change the regulation several times, but the government has not paid any attention to the demands. "Prices of cigarettes are constantly growing and it is unclear where the tax money is going. Hopefully it’s going towards curing smokers, towards the promotion of a non-smoking environment," said Druz. 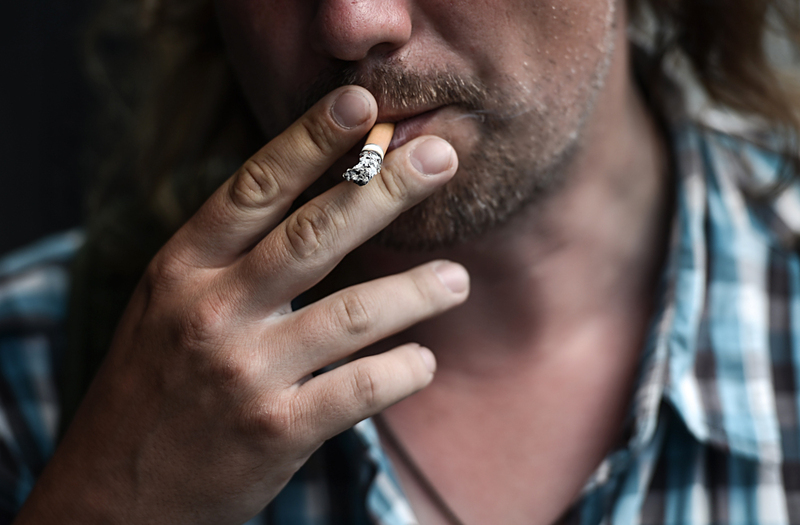 "Many smokers are addicts who should be helped and not limited in their rights." He and his associates are convinced that a compromise is possible, one in which, for example, smokers can smoke in special restaurants and long-distance train cars without bothering non-smokers. Nevertheless, it seems that the government is not ready to make concessions. On the contrary, the government often discusses the possibility of strengthening the anti-smoking law. The State Duma has recently been proposing to ban smoking in front of children and the sale of cigarettes at night, and to begin production of slimmer cigarettes. For now none of the initiatives has been adopted but the government obviously does not intend to stop the war on tobacco.